According to the Public Lands Council, Forest Service has provided written guidance for regional foresters during the shutdown. Current active grazing allotments are to continue operating. 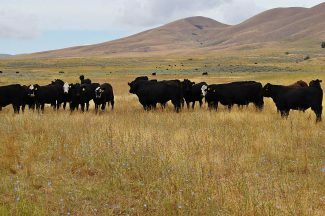 The partial government shutdown has left producers holding federal grazing permits with questions regarding spring turnout across the west. After speaking with the Bureau of Land Management and the Forest Service, we have been assured permittees will have the ability to turn out on schedule this year ­— even if the shutdown persists into the spring. Forest Service has provided written guidance for regional foresters during the shutdown. Current active grazing allotments are to continue operating. However, allotment inspections will be delayed until funding is restored and normal pre-season meetings with range staff will be put off until funding resumes. The agency is recommending that necessary staff are brought in to prepare, issue and monitor the payments 30 days in advance of the start of grazing. In the coming weeks the BLM is expected to provide similar guidance instructing livestock turnout as well. Like any year, this access is contingent on payment of grazing fees. The 2019 annual grazing was set for release this January. However, the partial government shutdown will likely delay the Animal Unit Months and Head Months calculations for the 18,000 grazing permits administered by the BLM and the nearly 6,500 permits administered by the Forest Service. Permittees should expect to pay the minimum fee of $1.35. Once the government is up and running, fee adjustments will be administered to account for differences in the 2019 fee. I feel your frustration during this time. The shutdown leaves the federal lands ranching industry – and all of agriculture – with many uncertainties. However, we are confident in our government's ability to fall back on its most basic functions. As regulations and nonessential tasks of the BLM and Forest Service are set aside, we are left with a simple set of statutory obligations. Providing livestock access to grass on federal land is among the required obligations of these agencies. Producers should have peace of mind of their ability to operate in the coming months. That being said, it is critical that we demonstrate our careful stewardship of these resources. If you do not typically perform comprehensive monitoring on grazing allotments, you should. It is important to record data this season. Take photographs, document conditions, and record everything. This will help protect your operations in the event that activist groups file litigation regarding this rightful execution of statutory obligation during the partial shutdown.